Sometimes, I get so caught up with new restaurants, I forget about the long-standing ones. 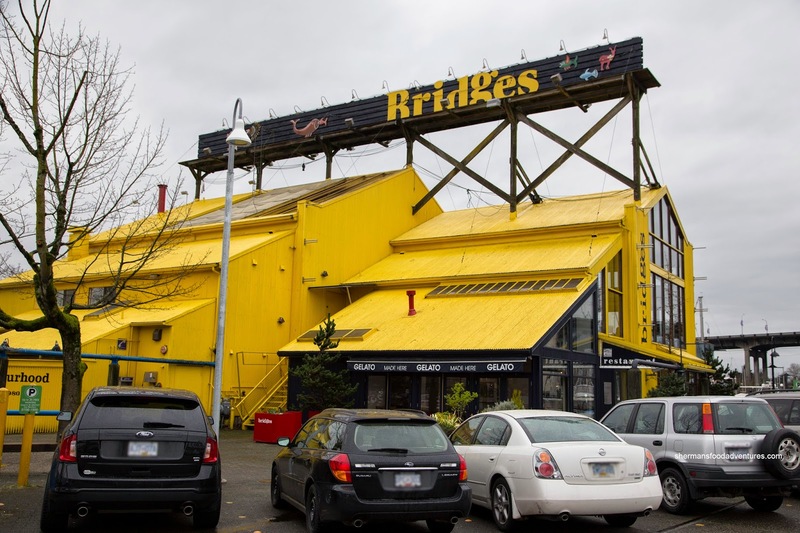 Case in point, I have never blogged about Bridges Restaurant, even though I've been there many moons ago. It could very well be its location being somewhat of a "tourist trap" affecting my desire to eat there. But just because it is located within a famous Vancouver tourist attraction doesn't necessarily mean it cannot serve good food. Well, that was what we were going to find out in this food adventure (aided by a Travelzoo voucher). We ended up with 3 appies to sharing starting with the Fraser Valley Duck Confit with crispy polenta, blood orange & burnt honey marmalade. 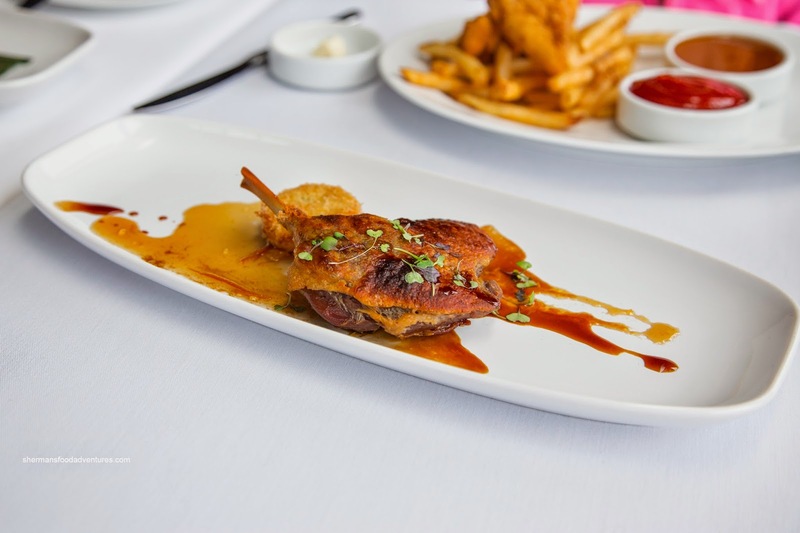 Sporting a crispy and almost airy skin, it was unfortunate the duck meat itself was mostly chewy and dry. It wasn't salty though where the duck essence really came through. We found the marmalade to be aromatic and slightly tart. 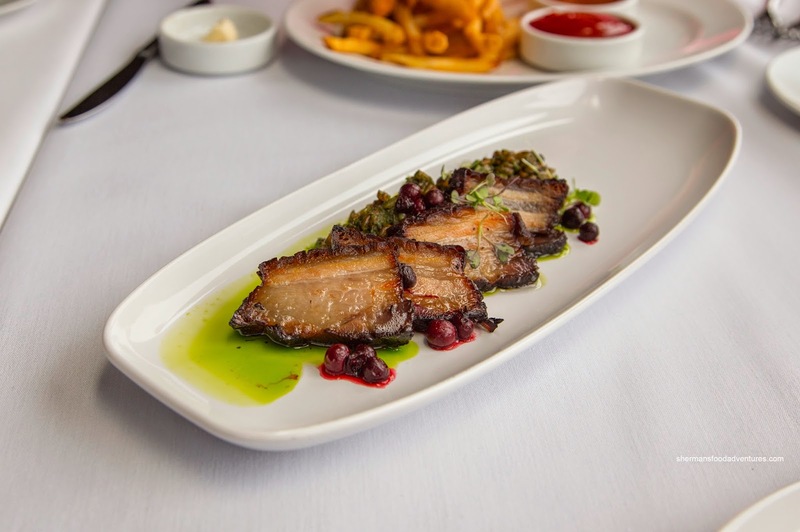 Next up was the Roasted Pork Belly with herbed farro, pickled huckleberries and chanterelles. We weren't overly enthused with this dish as the slices of belly were chewy with a hard exterior. Despite this, the meat was aromatic and plenty fatty (which was the best part). The chewy (in a good way) farro was nicely seasoned by the abundance of herbs. Tart and acidic, the huckleberries lightened things up a bit. 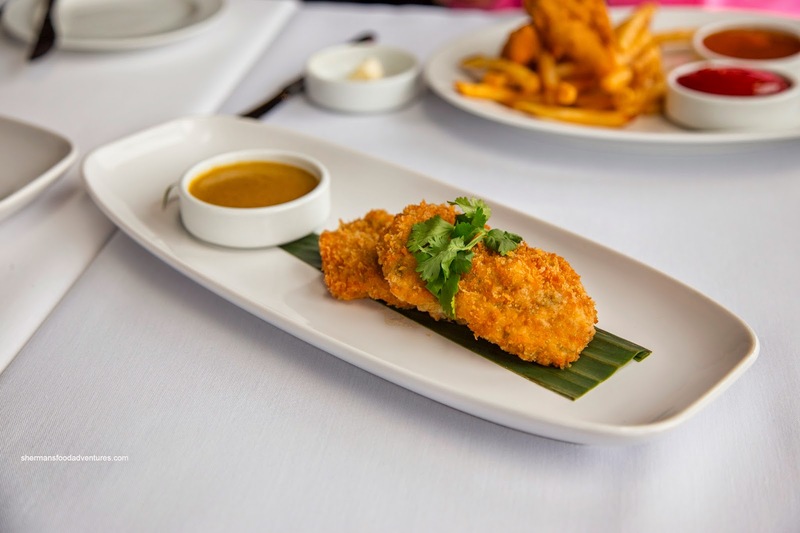 Our last appie was the Tiger Prawn Cakes served with a lobster curry emulsion. Within the crunchy crumb coating, the shrimp were sweet and exhibited a mild snap. We found these to be rather small where some of the moisture was lost due to the size. As for the dip, it was very mild with only hints of curry. We didn't even notice much of the lobster essence as it was lost in the sauce. 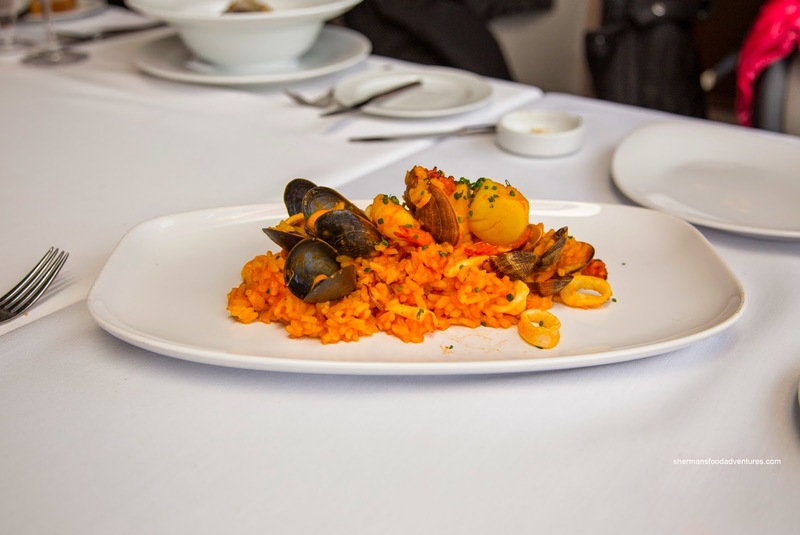 For my main, I went for the Paella with clams, mussels, chorizo, scallops, prawns atop saffron rice. As much as this wasn't really a paella due to being served on a plate without the benefit of a rice crust, I found it rather tasty. The saffron hit my taste buds as well as my olfactory system (what's with this scientific term???). The rice was chewy while still being bathed in some moisture. There was a decent amount of seafood which was prepared properly. 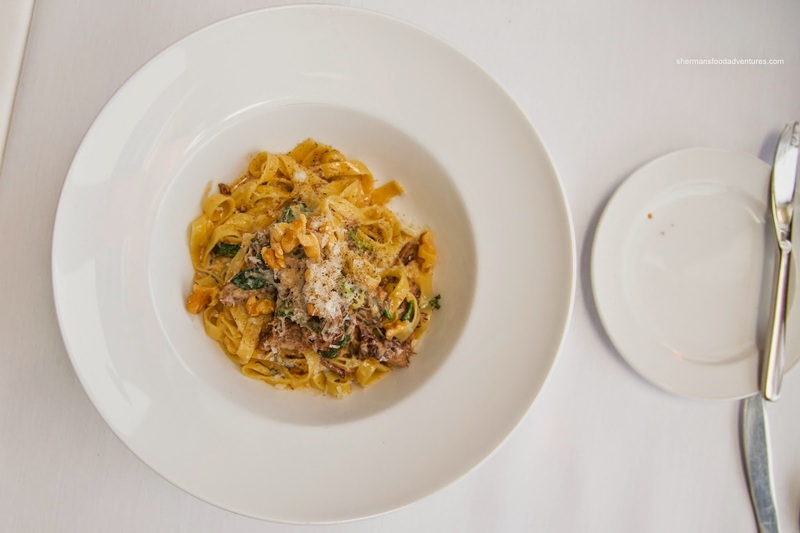 Viv opted for the Short Ribs & Tagliatelle with toasted walnuts, lemon, sage & grana padano. Graced with a good amount of tender shredded short rib, the pasta was filling despite its modest portion size. The noodles were toothsome and bathed in a creamy and herbal (mostly sage) sauce that had just a touch of acidity. Extra layers of flavour were provided by the nuttiness of the walnuts and saltiness of the grana padano. My mom thought she should go big with her entree and decided on the Fresh Nova Scotia Lobster with braised leeks, parsnip purée & drawn butter. We were rather confused why this was served with parsnip purée. Don't get me wrong, it was smooth and wonderfully seasoned, but it didn't really go. 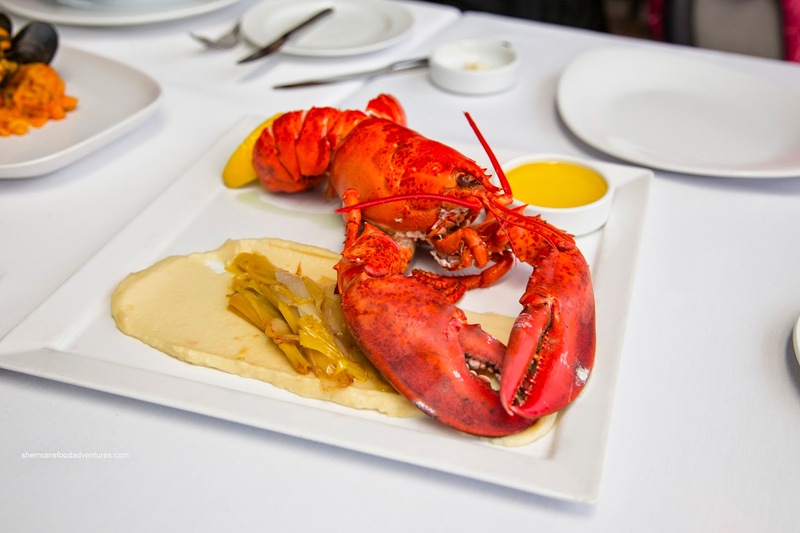 As for the lobster, it was a touch overdone where the tail meat was on the chewier side. It was super sweet and tasty though. 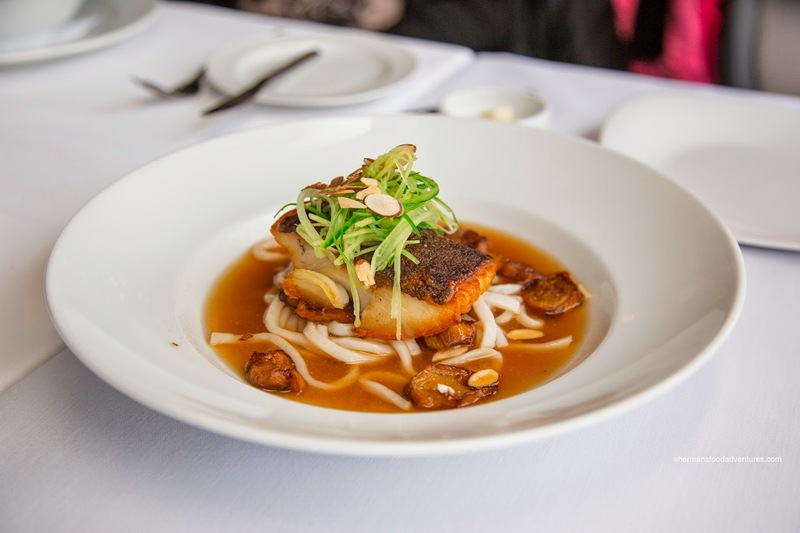 My dad had the Roasted Sablefish with udon noodles, fried eggplant, roasted almonds and miso sake broth. Seared until golden brown and with crispy skin, the sablefish meat was flaky and buttery (also well-seasoned). Underneath, the broth was on the saltier side, yet still had a nice Earthiness thanks to the mushrooms. We didn't notice much of the sake though. For dessert, we shared 3 of them, but in reality only had one because the kids high-jacked the others. So the adults shared the Baked Cheesecake with sour cherry compote. This was money as it was creamy while not overly dense. It was not too sweet either where we really got a good amount of cream cheese aroma. 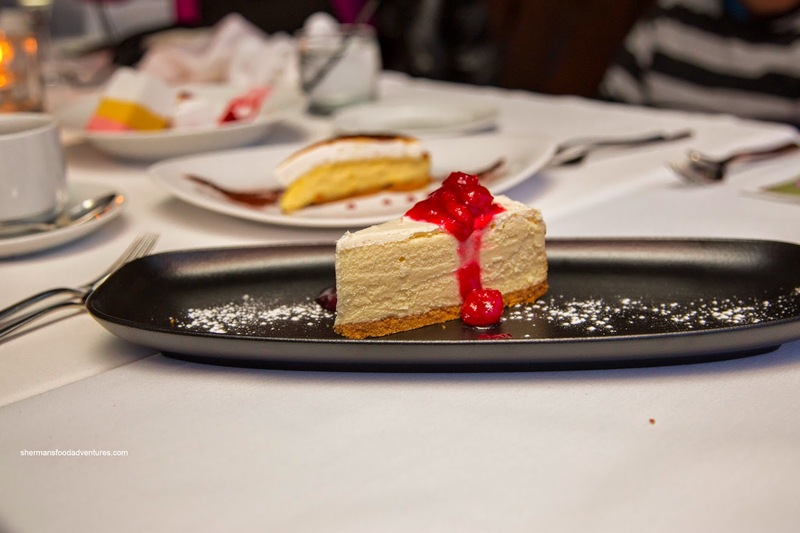 Although the tart cherries was a nice compliment, the actual cheesecake itself could've used a touch of tang. For my daughter, she was all over the House-Made Sorbetto including lemon, mango and strawberry. We found the sorbetto to be smooth and almost creamy (yah, with just ice...). 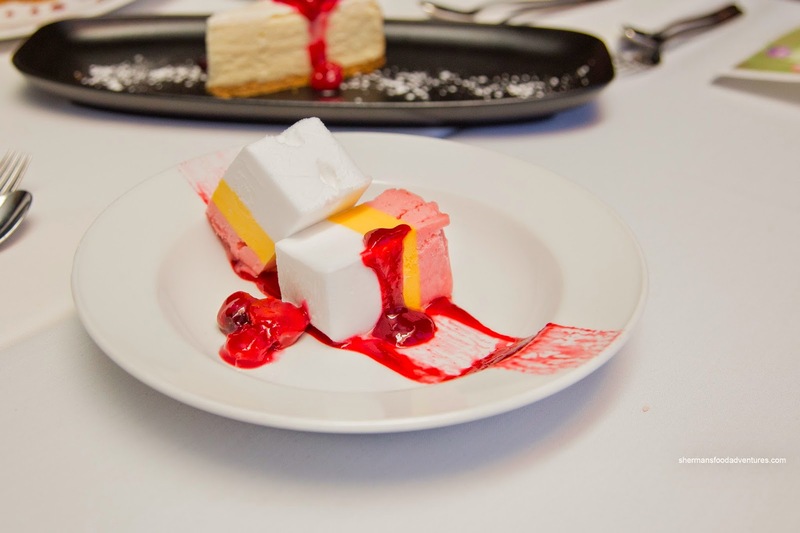 The flavours were purposeful and natural with only a touch of sugar. 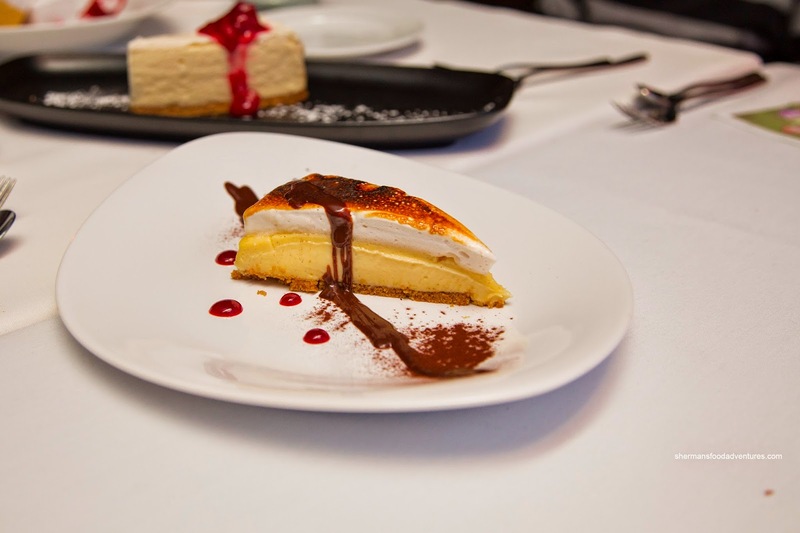 My son ate most of the S'mores Stack with torched house-made marshmallow and custard atop a graham cracker crust. Remarkably, this was not really all the sweet despite appearing so. The fluffy marshmallow was nicely caramelized on top emitting a certain smokiness. These desserts were a nice finish to a hit and miss dinner. As much as there were some enjoyable items in our meal, the regular prices are too high if the food cannot be consistent across the board.